Be the first to share your favorite memory, photo or story of Genoveva. This memorial page is dedicated for family, friends and future generations to celebrate the life of their loved one. 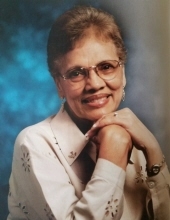 Genoveva Rivera-Rodriguez, age 83 of Bremen passed away Friday, August 31, 2018 at a health facility in Riverdale. She was born in Puerto Rico, January 4, 1935, daughter of the late Pedro Rivera and Francisca Rodriguez. Survivors include her children, Larry Santos, Willie Santos, Tony Santos, George Santos, Ralph Santos, Miguel Santos and Lisa Santos. Share your thoughts and memories in our guestbook at www.hightowerfuneralhome. To plant a tree in memory of Genoveva Rivera - Rodriguez, please visit our Tribute Store. "Email Address" would like to share the life celebration of Genoveva Rivera - Rodriguez. Click on the "link" to go to share a favorite memory or leave a condolence message for the family.